Following a September report stating that Apple may be working with Quanta Computer to develop a larger-sized iPad, Digitimes is now reporting that the Taiwanese-based manufacturer has landed the contract to mass-produce the tablet for the second half of 2014. 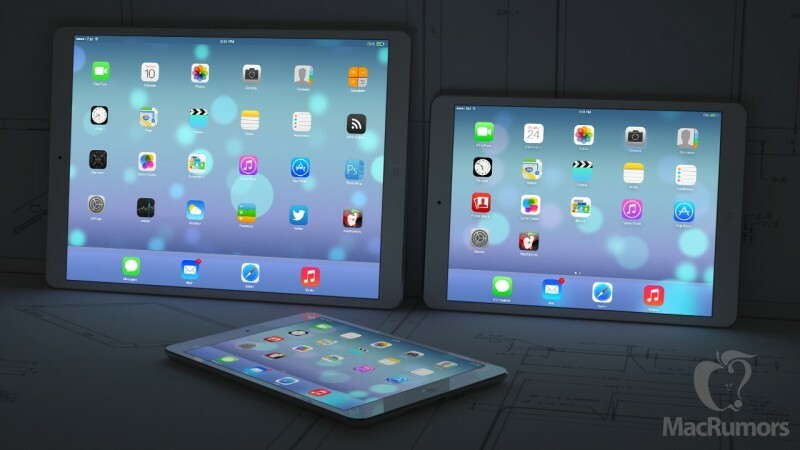 Just last week, a report had claimed that the larger iPad was being targeted for an early 2014 launch. Quanta is expected to encounter several challenges in terms of industrial design and assembly when making the large-size iPad. And since the size is not the mainstream specification, order volumes are expected to be limited, the sources said. Component makers have also reportedly started pilot production for the iWatch, although low yields are rumored to be the reason behind delaying mass production of the device from Q1 2014 to Q2 2014. Quanta, Inventec, and Foxconn are said to be competing for iWatch production orders. Last week's report from The Korea Times indicated that production of a 12-9-inch Retina Display to be used in a next-generation iPad was already underway at an Apple supplier in Korea. The larger tablet is also said to carry an improved display nearing ultra high-definition (UHD) quality, which would be significantly bigger and contain many more pixels than Apple's current 9.7-inch iPad Air. Meanwhile, iWatch reports have surfaced occassionally in the past couple of weeks, with Apple rumored to be releasing both 1.7 and 1.3-inch display sizes of the watch for men and women. NPD DisplaySearch analyst Paul Gagnon also noted that Apple appears to have put its major television product plans on hold for the time being in order to focus on wearables such as the iWatch. I could see an extra-large iPad being hugely popular among educators, medical workers, retailers and restaurant operators. Actually, Jobs's is correct since Jobs is a proper noun. No, the correct possessive is Jobs'. The fact that it's a possessive proper noun doesn't matter. Everyone loves the thinner, lighter, smaller iPad! Now lets make a bigger heavier one! If this is just a larger iPad what industrial design challenges would they be facing? They name the 9.7" iPad the iPad Air... Now they can introduce the iPad Pro. Apple was BOUND to go this direction. it's still a simplified lineup of products. although selling the iPhone 4S and iPad 2 are a little odd, but like they say "people are still buying them." Nah, doubt it. I saw a girl in an Apple store a few days ago trying to explain the difference between the iPad Air, the iPad 2, the iPad mini and the iPad mini with retina display to an older person. If you make people have to think that hard about which product is right for them, it's much less easy to make a decision, and in my view, I'd be much less likely to make an impulse buy without feeling the need to research first. That's where Steve got it right, and they're undoing all that, just as they did in the mid-90s. Imaginary Steve would never have tolerated an iPod Touch, iPod Classic, iPod Nano, etc. Not in a million years. Because Imaginary Steve does whatever the imaginer wants him to do.